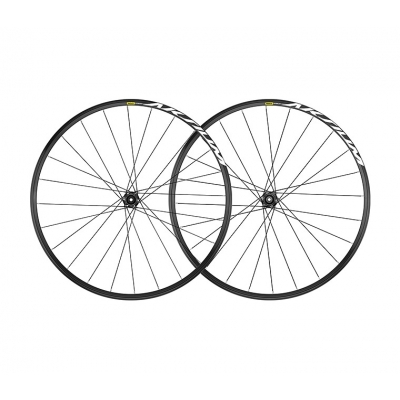 Aksium is the perfect Mavic wheel for everyday riding, and this is just as true for the disc version. It combines high grade, lightweight materials with great ride quality. 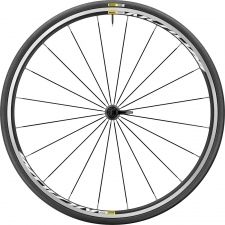 Aksium Disc uses straight pull spokes for added stiffness and strength, fixed to pin joint and lightweight rims specifically designed for disc brake use. This maintains a high reactivity and ease of spinning. 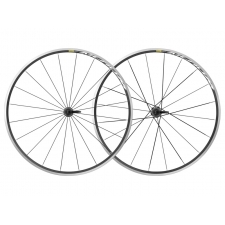 To withstand the stress of disc brakes, we’ve also increased the spoke count to 24 on both front and rear. And they’re crossed three on both sides to make sure the braking torque is securely transferred all the way to the ground. At 17mm internal width, these rims are compatible with tires up to 32mm, making them versatile, comfortable, safe and great for traction. The disc specific hubs feature super strong QRM bearings that provide low friction and long-term durability, with no servicing needed. Aksium Disc is only compatible with standard quick release. For the disc rotor mount, the wheels are available in International Standard 6 Bolts (for Shimano/Sram and Campy cassette) and Center Lock (Shimano/Sram cassette only). 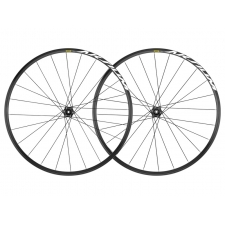 Buy your Mavic Aksium Disc Wheelset from Revel Outdoors.